It is now possible to stream any Blizzard games on Facebook. This service, however, is available for only the users in few select countries in Asia, Australia, New Zealand and America. 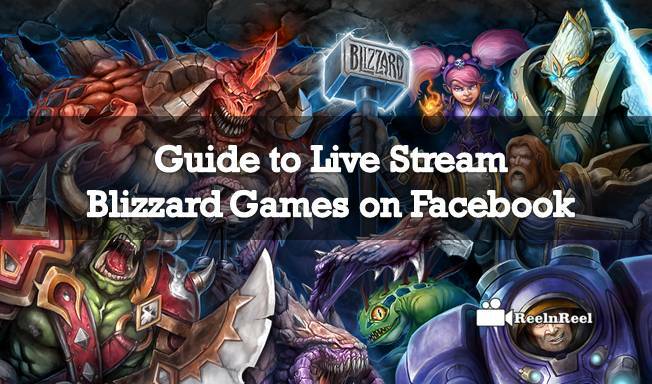 Here is how you can live stream the Blizzard game you are playing on Facebook. The user first has to connect the Blizzard account with his Facebook account.Blizzard then ask s the permission of the user to live stream to his Facebook timeline. The name of the user also will not be shared with people outside the Facebook network of the user. After connecting the Blizzard account and the Facebook account, the user has to set the stream setting in the control panel of streaming. The audio, webcam and the hotkeys should be adjusted. Streaming settings are by default set to 720p resolution, 30 frames per second. The higher the quality of the stream is set, the more data it is going to use. Choose who should be the audience for your Blizzard game live streaming. The streaming can be posted to the time line of the user or into a page. Go to Facebook App settings, choose the Blizzard Entertainment app and here you can choose who should be your audience. However, there are some known issues now with Blizzard game live streaming on Facebook. Live streaming is not available for Mac users. The user has to check that his webcam is not occupied with some other application. Frame rate might be lower while live streaming.